Hoarding is a devastating disorder. As anyone who has seen one of the many reality-TV shows on the subject knows, people who suffer from the worst cases of hoarding effectively pin themselves in their own homes or apartments, surrounded by piles of newspapers, boxes, and other detritus they can’t bear to get rid of. In addition to the social and familial isolation this can cause, it also brings with it an increased risk of fire and health problems from all that dust. 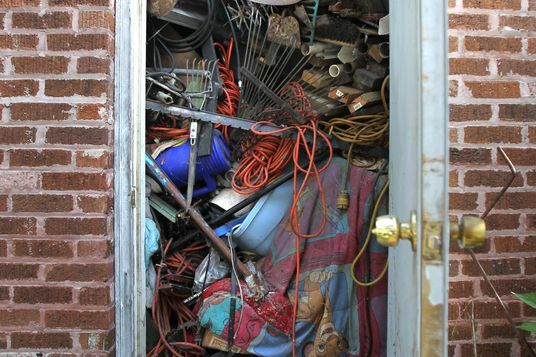 If you want to know more about hoarding and how experts are trying to treat it, the Washington Post published a really good article on the subject by Sara Solovitch Monday. The article also hints at a depressing possibility: that we’re about to see a big upsurge in hoarding. Other than the above excerpt, Solovitch’s piece doesn’t really dive into the question of whether hoarding is going to become more common in the U.S. in the long term, but there’s a strong case that it will. That’s partly because in the U.S. we don’t just have an aging population — we have a population that’s aging in a particularly unhealthy, tumultuous way. We know that white people, for example, are dealing with rather shocking levels of mortality and morbidity, much of it stemming from drug use (less-educated white people are particularly susceptible). And nationwide, millions of people are still dealing with the fallout of Great Recession–era foreclosures, or live in pockets of the country where getting evicted over and over is the norm. There has always been poverty in middle and old age, of course, but things seem to be getting worse on these fronts. So, given that hoarding is associated with certain types of crises in middle and old age, and given that we know middle-age and older people are increasingly likely to experience exactly these sorts of crises, the overall prognosis doesn’t look good. Posted on 16 Jun 2017 14 Jun 2017 by Jonah A. SteinhausPosted in Aging, Anxiety, Dementia, Depression, Gerontology, Mental Health, Psychology, RelationshipsTagged Aging, Anxiety, Dementia, Depression, Gerontology, Mental Health, Psychology, Relationships. Thanks for posting this information. It scares me sometimes the lengths we have to go to in order to dispose of certain items and thus they pile up. Thank you for reading. Keep in touch; eh?